01. Harrison Ford was paid $10000 for Star Wars: Episode IV – A New Hope. 02. After watching Star Wars, James Cameron decided to quit his job as a truck driver and entered into the film industry. 03. In the early drafting of Star Wars, storm troopers carried light sabers, and there were female storm troopers. 04. In an effort to preserve the language, ‘Star Wars’ is being dubbed in Navajo. 05. For the original Star Wars, Lucas paid a fine and resigned from the Directors Guild rather than obey its demand that he begin with the conventional opening credits. 06. When filming in Star Wars: Episode I – The Phantom Menace, Ewan McGregor kept imitating the noise of the light saber during his fights. George Lucas explained many times that this would be added in by the special effects people later on. Ewan kept saying “I keep getting carried away”. 07. George Lucas really thinks Empire Strikes Back is the worst Star Wars movie. 08. Deep Roy is the only actor to hold the “science fiction trifecta,” having appeared in Star Wars, Star Trek and Doctor Who. He has also been in X-Files, NeverEnding Story, and Transformers. 09. Even though Star Wars has an incredibly complex and deep universe, Yoda’s species was never named. 10. All of the old buildings from Star Wars, such as Obi-Wan’s house, Mos Espa, and Lars Homestead, are still intact and can be visited in Tunisia. 11. Despite the lyrics he wrote in the song Bicycle Race [“I don’t like Star Wars”], Freddie Mercury actually liked Star Wars a lot. 12. 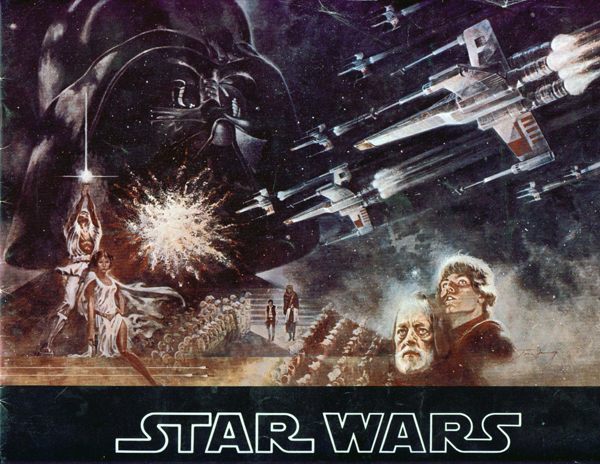 With inflation, the original Star Wars made the equivalent of $1,453,455,900 today. 13. The Star Wars character, Anakin Skywalker/Darth Vader meets six of the nine diagnostic criteria for borderline personality disorder (BPD), one more than necessary for a diagnosis. 14. George Lucas considered casting the principal characters of Star Wars as dwarfs. 16. There exists an infamous Star Wars trading card of C-3PO in which it appears the droid is sporting a ginormous erection, and nobody is quite sure how it happened. 17. Carrie Fisher (Princess Leia) had an affair with then-married Harrison Ford (Han Solo) during their filming of the Star Wars films. 18. Mark Hamill was in a car accident that caused substantial facial trauma a day before he finished shooting the original Star Wars. An in-universe explanation for his scarring was developed for The Empire Strikes Back, where he is mauled by a Wampa, allowing him to continue the trilogy. 19. George Lucas’s original plans for a Star Wars sequel trilogy would have Hamill, Fisher, and Harrison portraying their characters “sixty or seventy years old”. Currently the actors are 61, 56, and 70, respectively. 20. Star Wars: The Old Republic was the most expensive game ever made. Some really interesting facts there, Jeremy. And for those who are curious, here is C3PO in all his glory . . .
LOL thanks for the link Bob. I needed a laugh. A lot of these are surprising especially that it inspired Cameron to become a director. Good job Lucas. These facts were really interesting. I wonder if Harrison looks a Carrie and still thinks of "hubba-hubba" with her:) Lucas thought Jar Jar Binks was a good character so I don't think much about him disliking The Empire Strikes Back.